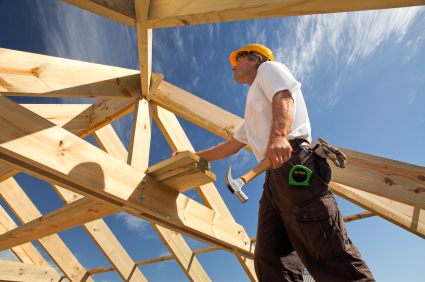 U.S. housing starts jumped to their highest level in nearly 7-1/2 years in April and permits soared. Groundbreaking surged 20.2 percent to a seasonally adjusted annual pace of 1.14 million units, the highest since November 2007, the Commerce Department said on Tuesday. The percent increase was the biggest since February 1991. 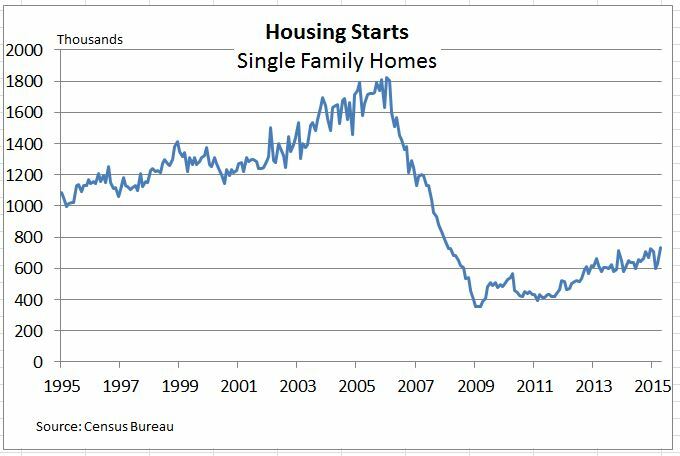 Starts for single-family homes, which accounts for the largest share of the market, hit their highest level since January 2008. According to the National Association of Realtors®, all major regions except for the Midwest experienced sales declines in April. Total existing-home sales, which are completed transactions that include single-family homes, town homes, condominiums and co–ops, declined 3.3 percent to a seasonally adjusted annual rate of 5.04 million in April from an upwardly revised 5.21 million in March. Despite the monthly decline, sales have increased year-over-year for seven consecutive months and are still 6.1 percent above a year ago. The Commerce Department said on Tuesday sales increased 6.8 percent to a seasonally adjusted annual rate of 517,000 units. March’s sales pace was revised up to 484,000 units from the previously reported 481,000 units. The median price for a new home rose 8.3 percent from a year ago to $297,300. Data through April 2015, released today by S&P Dow Jones Indices and Experian for the S&P/Experian Consumer Credit Default Indices continued its downward trend in default rates. The composite index posted a historical low of 0.97% in April, a decrease of eight basis points, and its lowest level since July 2014. The second mortgage default rate also reported a historical low, down seven basis points to 0.43%. The auto loan default rate posted its second consecutive decrease with a reported rate of 0.94%, down nine basis points and its lowest level since June 2014. The first mortgage default rate decreased for a third consecutive month, down nine basis points to 0.83%, its largest reported decrease since May 2014. The bank card default rate continued to rise, reporting a rate of 3.18%, an increase of 19 basis points and its highest reported rate since July 2013. CoreLogic‘s March 2015 National Foreclosure Report shows that the foreclosure inventory declined by 25.7 percent and completed foreclosures declined by 15.5 percent from March 2014. There were 41,000 completed foreclosures nationwide in March 2015, down from 48,000 in March 2014, representing a decrease of 65.2 percent from the peak of completed foreclosures in September 2010, according to CoreLogic data. CoreLogic also reports that the number of mortgages in serious delinquency declined by 19.1 percent from March 2014 to March 2015 with 1.5 million mortgages, or 3.9 percent, in serious delinquency (defined as 90 days or more past due, including those loans in foreclosure or REO). This is the lowest delinquency rate since May 2008.